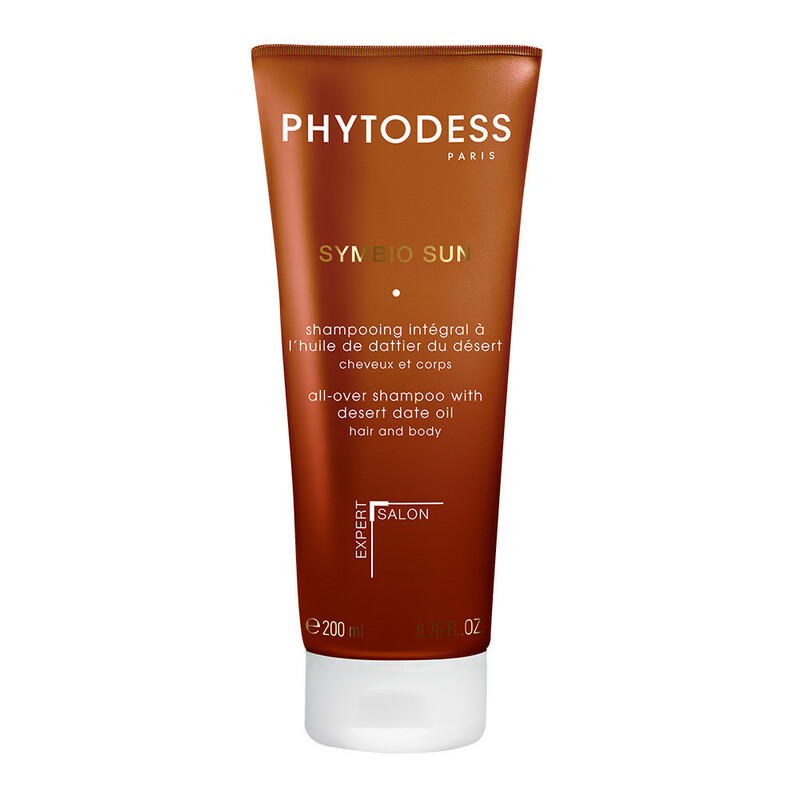 Enriched with desert date oil, this all-over shampoo with its sunny fragrance cleanses hair and skin exposed to the sun and removes any trace of salt, chlorine and suncare products. The hair fiber is strengthened and protected, hair is nourished, supple and shiny and skin soft and satiny*. * Use test conducted on 22 people for 21 days – Findings based on self-assessment. 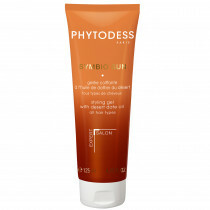 Pro-vitamine B5, conditioner agent : Hydrate hair and body, leave soft skin. Amino acids powder : Leaves a satin feel on the skin. Micronized wax, vegetable origin protective agent : Strengthen the hair fiber, sublimate radiance and shiny hair. AQUA/WATER, SODIUM LAURETH SULFATE, BETAINE, GLYCERETH-2 COCOATE, PEG-6 CAPRYLIC/CAPRIC GLYCERIDES, SODIUM COCOAMPHOACETATE, COCAMIDOPROPYL BETAINE, TRIETHANOLAMINE, ACRYLATES COPOLYMER, CAPRYL/CAPRAMIDOPROPYL BETAINE, PEG-4 DISTEARYL ETHER, SODIUM CHLORIDE, POLYQUATERNIUM-22, DICAPRYLYL ETHER, CITRIC ACID, LAURYL ALCOHOL, GUAR HYDROXYPROPYLTRIMONIUM CHLORIDE, PARFUM/FRAGRANCE, DISTEARYL ETHER, LAUROYL LYSINE, BALANITES ROXBURGHII SEED OIL, PANTHENOL, TOCOPHERYL ACETATE, SODIUM BENZOATE, MAGNESIUM NITRATE, SODIUM CITRATE, ILLITE, METHYLCHLOROISOTHIAZOLINONE, MAGNESIUM CHLORIDE, CI 15510/ORANGE 4, METHYLISOTHIAZOLINONE, TOCOPHEROL, LIMONENE, CITRAL, COUMARIN. 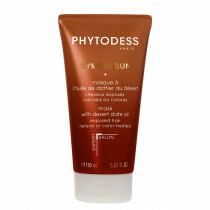 After exposure (sun, sea or pool), apply to wet hair and body, work into a lather and rinse thoroughly. Avoid all contact with eyes.